Happy New Year to you all and thank you for your patient’s awaiting my new article about Bali Wedding Cost. This time, my article will be about basic Bali Wedding Cost of Flowers & Decoration which are very important to colour your Day and make it beautiful. First of all when we are talking about flowers and decoration, it is really difficult to judge. All will be back to you as a Bride and as a couple. I am sure each of you have your own taste, your own favourite colours and own preference of flowers. The cheapest flowers and decoration in Bali will be based on our local tropical flowers and the cost starts from US$400.00. This could be traditional coconut leave arch, 2 small standing flowers, flowers on the aisle and flower petal and maybe few chairs set up for your family. If you have more attendees then obviously you will need to spend more. For about 20 attendees, you could spend between US$700.00 – US$1,000.00 with flower arch, 4 standing flowers, still with flower on the aisle, flower petal and decorated chairs for guests. I will say above cost would be the very basic cost and if you really do not mind with local produces. For you with specific flower request for example imported flowers then you need to prepare at least double amount, looking at a price range of US$1,000-US$2,000 including full flower arch, 4-6 standing flowers, 6 meters flower aisle, decorated on tiffany chairs for about 50 chairs, flower bouquet for you and bridesmaids, buttonholes for Groom and best men and flower petals. Other thing you may need to be aware of is that if your venue is quite far from Denpasar i.e. in Ubud, Candidasa, or Canggu, some florists or vendors will charge fee for transportation. Please make sure that you confirm with them in advance. However don’t be surprised if some vendors or florists charges you up to US$8,000 even US$10,000 for flowers and decoration. This will be considered if you have flower theme colour, of course imported flowers, more than 100 – 200 guests with decoration chairs, massive flowers arch with garlands for your altar, till 10 meters of flowers on the aisle, flower bouquet for you and your bridesmaids, buttonholes for Groom, best men and family. Some vendors could charge you again for dinner decoration up to US$3,000 for fairy lights or lantern around the area, specific candles and flowers on the table, more table decorations i.e confetti and petals, place cards including name of each guests and other details requests you wish to have. Cost can easily escalate and end up sky high if you do not control yourself. The vendors and florists will try to sell you more by showing more photos of floral decorations to choose from. You will need to focus on your list, stick with it and try to keep you in budget from the beginning. 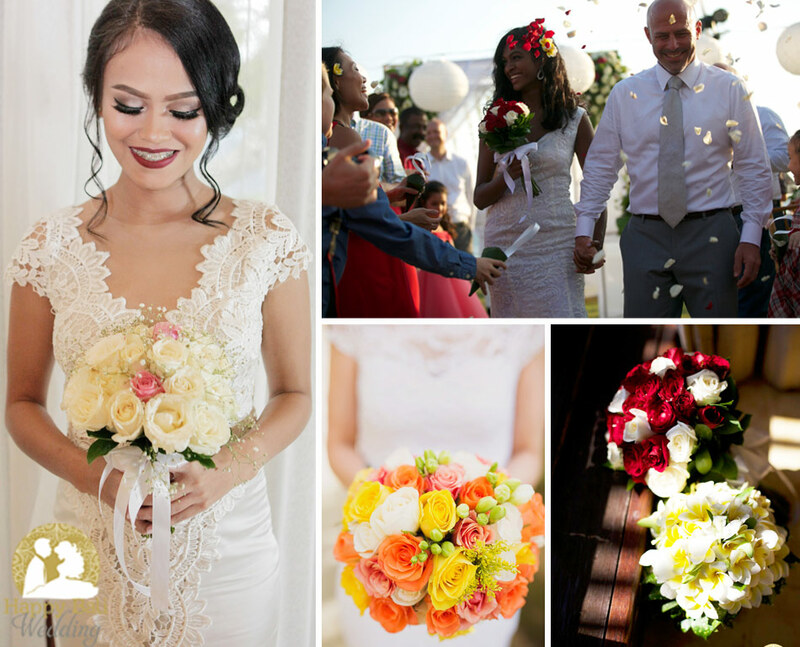 If you check our website again, we have included all fresh flower standard decoration, flower bouquet for you and buttonhole for your Groom so you do not need to worry and think about it anymore. 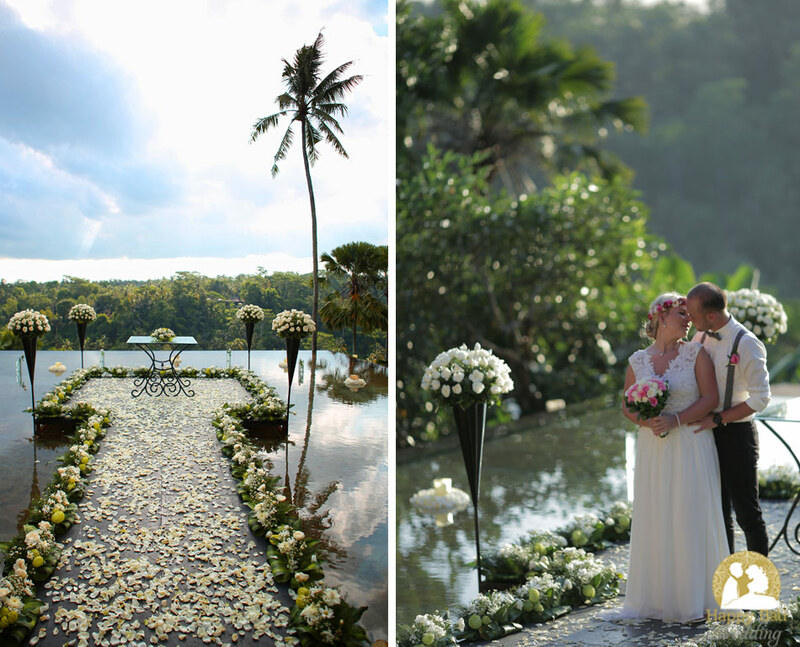 You may check again the choices at Bali Wedding venues Otherwise I will be available for any questions, I do not mind to make adjustments based on your requirements and of course the ever important budget. If you wish to contact your own florists, that does not bother me and will work along with your requirements. 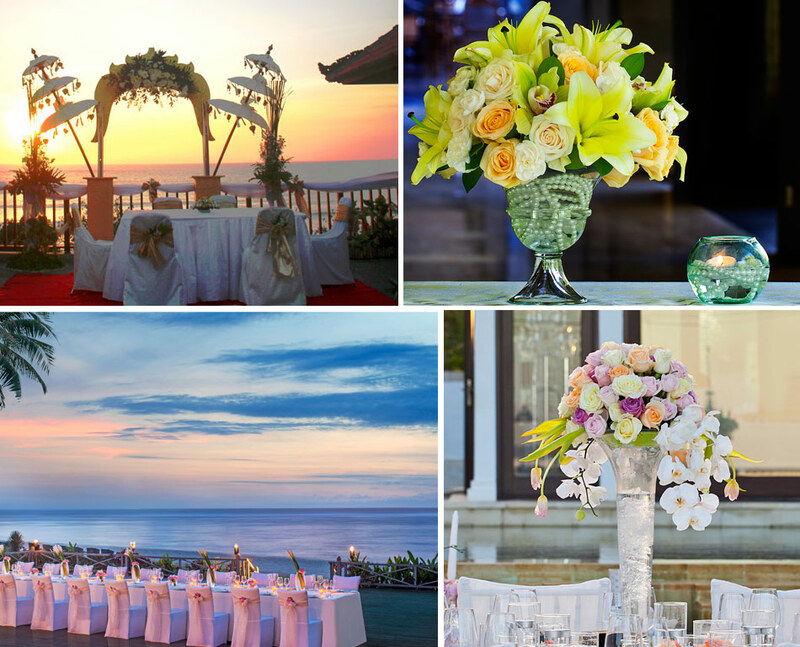 We are here to offer the very best service and deliver your wishes and make it perfect dream come true Bali wedding to be remembered as long as you both shall live. Thank you for sharing this article with your family and friends! !